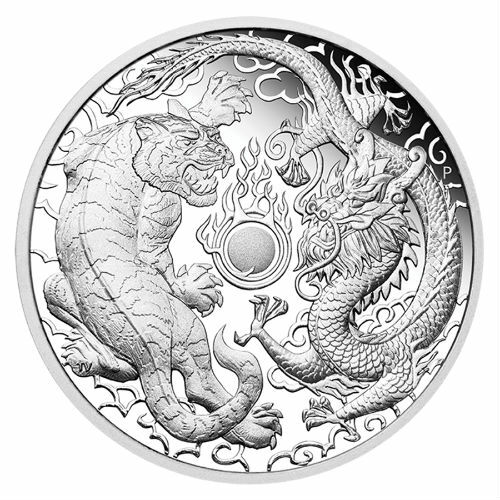 The dragon is revered as a divine mythical creature embodying power, wealth and good fortune in Chinese culture. 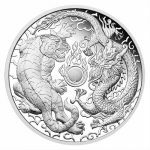 Dragons are frequently depicted in pursuit of the flaming pearl, a metaphor for wisdom and enlightenment, which is often represented swirling through mist, smoke, and shadows. The tiger is also considered as a lucky animal for a long period. The pattern on the forehead of a tiger is very similar to the Chinese character for “king” hence it has become a symbol of bravery and power. 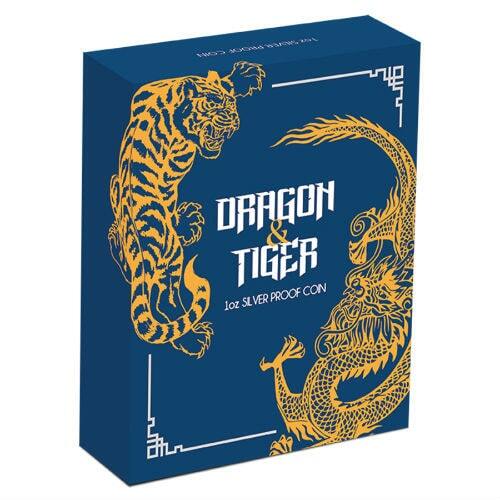 The dragon and the tiger are considered perfect matches for one another in Feng Shui. According to the traditional Chinese philosophical account of natural balance and interdependence, the tiger is ‘yin’, or female energy, and the dragon is ‘yang’ (male). Each coin struck from 1oz of 99.99% pure silver. 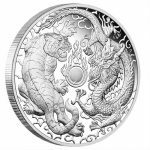 Limited mintage as no more than 2,500 of the Dragon & Tiger 2019 1oz Silver Proof Coin will be released. 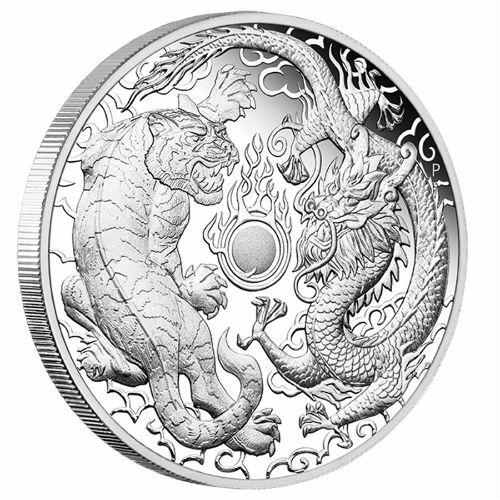 Coin’s Reverse: It depicts exquisitely detailed representations of a dragon, a tiger and a flaming pearl, with a stylised representation of clouds in the background. The design includes The Perth Mint’s ‘P’ mintmark. 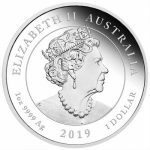 The coin is housed in a classic grey display case, accompanied by a numbered Certificate of Authenticity and packaged in a themed shipper.